You depend on your furnace for endless heat during the winter. Temperatures here in Western Michigan can dip well into the thirties, so as you can imagine, the last thing you’d want is for your furnace to blow cool air! 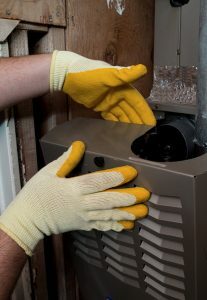 If the air coming from your furnace is not an appropriate temperature, you definitely have a problem on your hands! 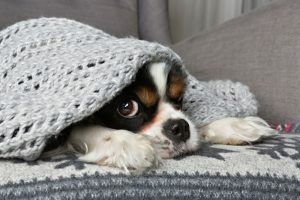 If you’ve noticed cool air coming from your vents, it’s time to schedule your furnace repair in Rockford, MI. There are a number of potential reasons as to why your system is blowing cool air, some being more significant than others. Only a trained HVAC technician can accurately diagnose and correct the problem. In any case, it’s best to schedule your repairs as soon as possible to avoid causing further damage to the system. Below, we have outlined some of the potential causes of cool air. Posted in Furnace | Comments Off on Why Is My Furnace Blowing Cool Air? Is Your Heater Short Cycling? If so, then you have a problem of some sort on your hands. The tricky thing about short cycling in particular, though, is that there are multiple potential causes of the problem, and not all of them are terribly serious. However, the problem could be serious, so just assuming it’s nothing to worry about can really come back to haunt you when you discover that real damage has been done. That is why, in today’s post, we’ll explore short cycling a bit more closely. We’ll take a look at what short cycling is, when to be concerned, and what you may be able to do to resolve the problem on your own (in one particular scenario, anyway!). So read on, and remember that routine heating maintenance is the best way in which to keep any problems with your heater to a bare minimum. Let the heating technicians on our staff keep your heater in Grand Rapids in the best working condition possible, and we’ll also repair it when anything does go wrong. Posted in Heating | Comments Off on Is Your Heater Short Cycling? Is it early in the heating season? Yes. Is your heater working its way through the coldest weather of the year already? No, of course not. Is it too early, then, to be talking about heating repairs in Grand Rapids, MI? We sincerely hope that, by this point, you have already had your heater tuned up for the year. If you have not, however, we cannot recommend strongly enough that you do so ASAP. 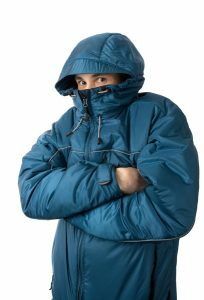 This is the best way in which to ensure that your heater is ready for all of the hard work heading its way. Even exceptional maintenance, unfortunately, is not going to make your heater 100% reliable. That is why it is so important that you learn to spot some common warning signs that your heater is in trouble. After all, the sooner you have your system repaired when trouble arises, the better. Contact a member of our staff immediately if you notice any of the following red flags in your home. Is a Heat Pump a Reliable Heater? The short answer to the question posed in the title of this post is: yes, absolutely. Heat pumps are among the most unique and revered of all heating systems on the market today. There are many different reasons for this, which we will get into below. One fact that we want to get out there right away, however, is that you are investing in more than just a heater when you purchase a heat pump. You are investing in a year-round comfort system, keeping you cool all summer and warm all winter without the need for 2 separate systems. That may sound too good to be true but, again, more on that below. 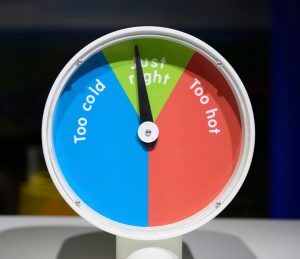 The other fact that we want to get out there right away is that, regardless of how great your heat pump of choice may be, regardless of who manufactured it, you are not going to enjoy the very best performance that it has to offer if you do not schedule your heat pump services with skilled, experienced professionals. That means that you’re in the right place, because you are reading this right now! Let us handle your heat pump services in Grand Rapids, MI. 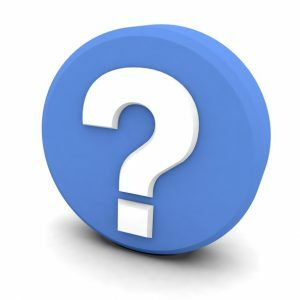 Posted in Heat Pumps | Comments Off on Is a Heat Pump a Reliable Heater? Do NOT Forget About Heating Maintenance! Wait, I just scheduled annual heating maintenance last year. Why do it again this year? Well, first of all, that is kind of in keeping with the “annual” part of “annual maintenance,” right? Secondly—it’s what is best for your heater! It really does not matter what type of heating system you use in your home. If you value reliable heating in Grand Rapids, MI, then you need to schedule maintenance with trained professionals on a yearly basis. There is just no getting around it. We are going to have to stop you right there. If what you were about to say was anything at all along the lines of “take care of it on my own,” think again. The risks associated with DIY heating maintenance attempts are just too serious to take chances on. So, without further ado, let’s take a look at precisely why professional heating maintenance is so important. Posted in Heating | Comments Off on Do NOT Forget About Heating Maintenance! Time for a New Heater? We may not be quite ready to start really thinking about the winter season, but that won’t stop it from arriving soon. Before long, you are going to turn once more to your home heating system. When you do, you really want to know for certain that your heater is going to be there for you. That is why you may decide that the time is right for a heater replacement in Grand Rapids, MI. We can help you determine if this is the case. For most homeowners, a new heater is a pretty major expense. We don’t want you rushing into anything, obviously, but we also don’t want to see you convince yourself that your system’s got another season in it when it just isn’t really the case. So today, let’s look at a few reasons why you may decide to replace your heater before the cold of winter is in full swing. If you do, we’re the pros to handle the job. Posted in Heating | Comments Off on Time for a New Heater? How Long Will Your Furnace Last? We agree that it would be great if key systems in your home lasted throughout the length of your homeownership. Unfortunately, dishwashers, washing machines, and some of the most important systems—like the furnace—will not last forever. Even if a repair is possible for your furnace, it’s not always the wisest choice, as the mismatched components may only wear down faster. 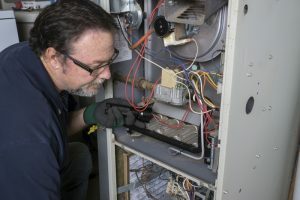 If you are currently experiencing problems with your furnace—or even if your system is brand new—it’s important to know how long your furnace will last. 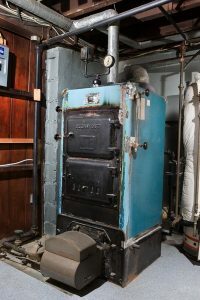 Today, we go over this lifespan, along with some tips on making the furnace last longer and how to tell a replacement is necessary. Posted in Heating | Comments Off on How Long Will Your Furnace Last?